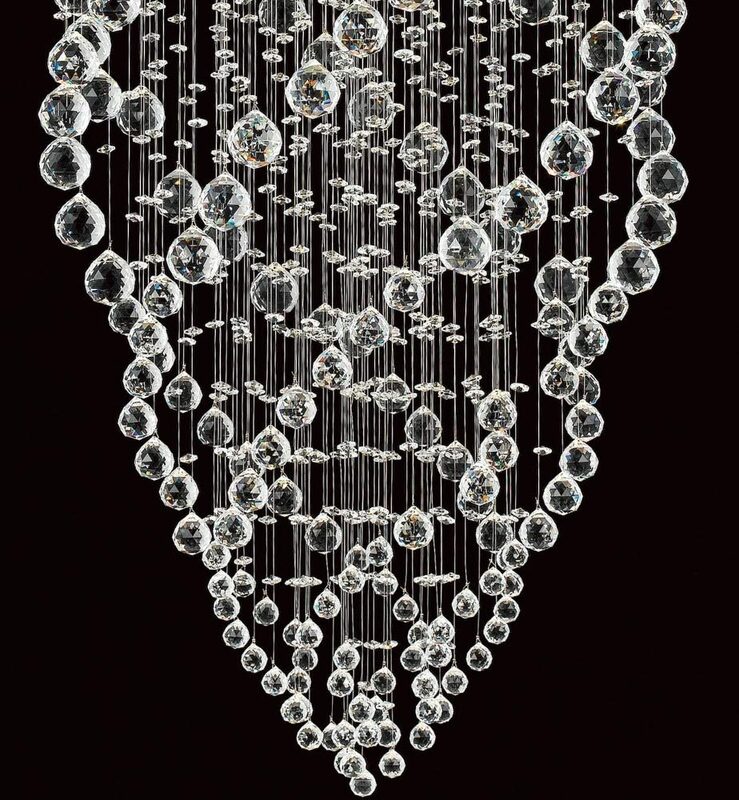 The Madrid contemporary polished chrome 9 light crystal chandelier is a visual masterpiece. It features a polished chrome, circular ceiling plate fitted with nine downward facing spot lights. 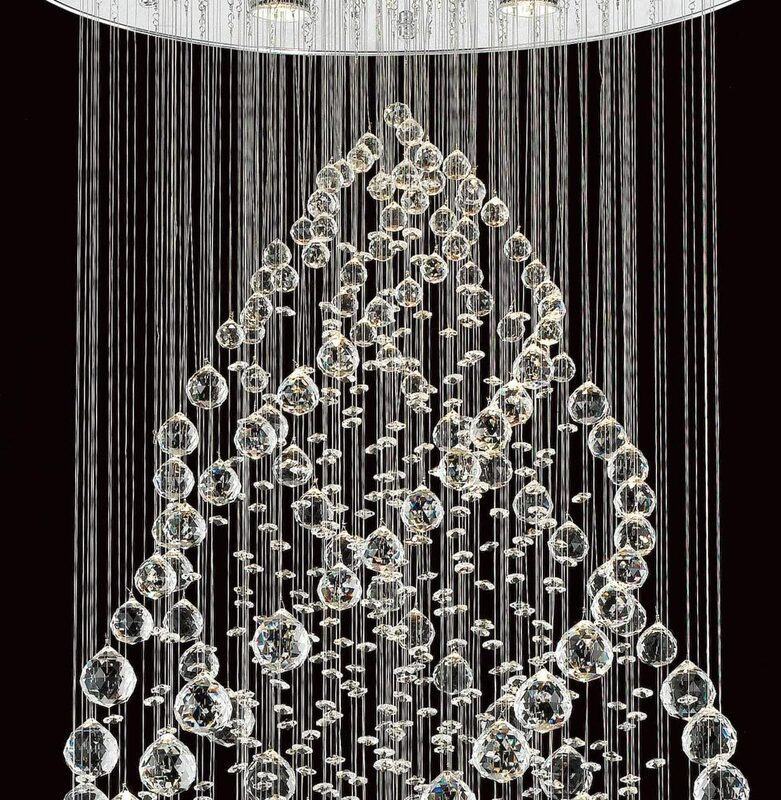 Masses of different sized crystal droplets and facetted balls are suspended from thin wires at different levels that create a rising bubble effect in the centre. The outer consits of of wires featuring faceted crystal balls that create a tapered double helix. Requires nine GU10 lamps up to a maximum 50w each but LED lamps can be used and are recommended. With a fixed height of 140cm, it is best suited to rooms with a high ceiling, stairwell, hallway or double height spaces. Please note that this fitting requires careful installation. Supplied as shown in the image, no assembly required.